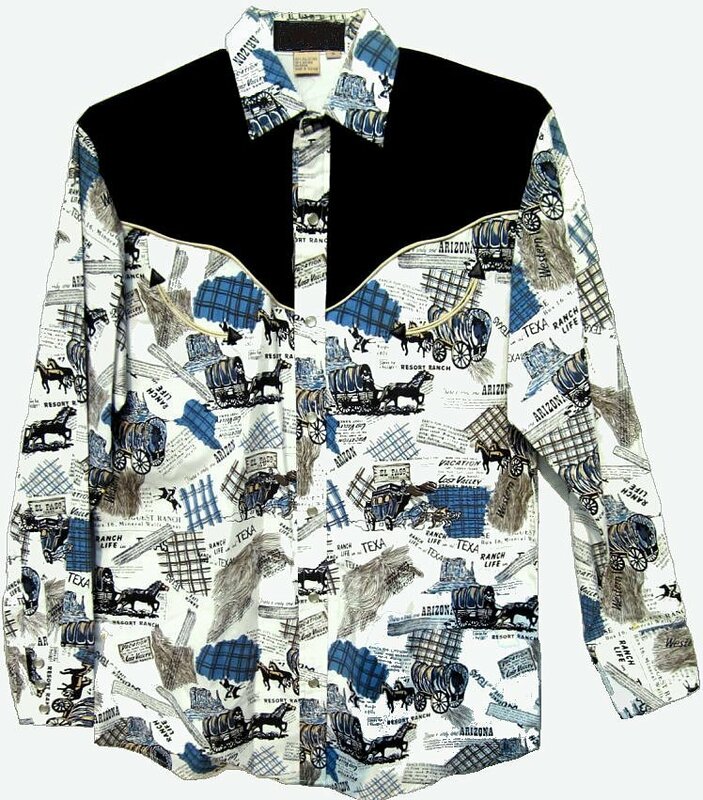 This is a well made western shirt with a fairly busy pattern. The white background is splattered with haystacks, wagons and horses. the top front and back (yolk) is made of black velvet, washable. The shirt is made out of a polyester cotton blend in a very sturdy weave. Well made. Some of the sizes run large. For instance, the Small has 40" chest fit, a today's Med. Shirts measure larger than stated chest fit (usually 2 - 4"). Sale is Final. Please consult measurements. Shirts are never worn old store stack, so I might wash them. In that case, the shirt may need to be ironed.